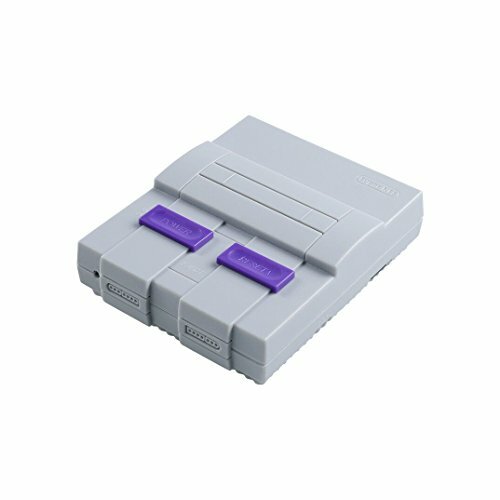 SNES Case for Raspberry Pi 3 B, 2 and B+,with Functional POWER and RESET Button and HeatSink,Retro Games Super NES Classic Case by Easyget at Pacs BG. Hurry! Limited time offer. Offer valid only while supplies last. Inspired by Super Nintendo Entertainment System,perfect compatible for Raspberry Pi 3, 2 and B+. Setting Functional POWER & RESET Button,easy to switch your gaming console on & off,red LED power indicator reminds you of your childhood. Made of high quality ABS plastic,lightweight,heat-resistant and wear-resistant,and anti-slip silicone rubber feet,keeps your Raspberry pi securely in place. Full access to SD Card, USB, Ethernet, Power adapter, and HDMI connector without opening the case,giving you the opportunity to connect your favorite accessories within seconds. We provide you with an extensive guide, helping you with: assembling the heat sink & easy to read Retropie installation. Also included: matching mini screwdriver + screws, to make sure you get the best use out of our high quality case. If you have any questions about this product by Easyget, contact us by completing and submitting the form below. If you are looking for a specif part number, please include it with your message.